If you are an attorney, chances are you use smart phones and tablets to keep track of your information. Securing these devices is important. Any lawyer today will tell you that they store a lot of crucial information on their tablets and phones. Security of information for lawyers is vital. This is because the leakage of information can jeopardize the security of a client or negatively affect their case. It is therefore vital for lawyers to learn the basics of securing their tablets and phones. Many lawyers take notes on their tablets or phones and store other information on these devices. It is very convenient having the information available when you need it even when you are away from your computer. However, mobile devices like computers can experience physical and electronic crashes. Information stored on these devices can be easily lost as a result. It is therefore important to ensure regular backup of information. There are several mobile apps that can be used to provide backup for information. You can choose apps that will synch your mobile device with your computer therefore allowing you to back up the information to your computer. There are also apps that are designed to backup information on cloud storage. These apps can be set to perform back up at regular intervals therefore ensuring that your data is safe in the event of a crush. iTunes is able to do this on an iPhone or iPad. Apps for this on Android OS have to be purchased. Information stored on the cloud can be accessed on your computer or through other devices. Tablets and phones are often lost or stolen. It is therefore wise to install a tracking app that will help you locate your phone or tablet if it is lost. 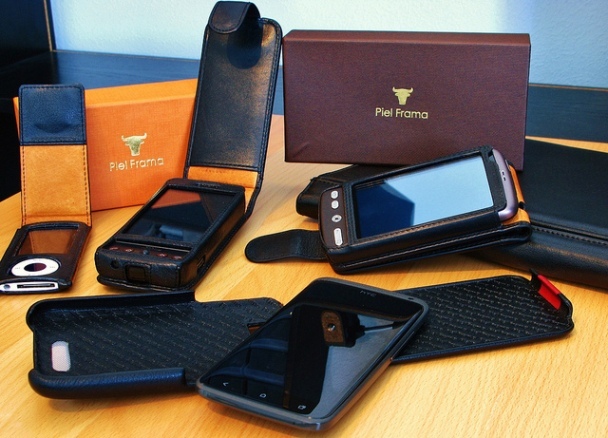 These devices use tools such as GPS and WiFi to locate your phone. The apps can even call or send text messages to your phone to help retrieve it. If all hope of finding the phone is lost, then the apps can wipe out all information stored on the phone thus ensuring that the information does not fall into the wrong hands. While these apps have to be installed in some phones and tablets, many of the latest devices have these tools already installed. You should therefore ensure that you activate these vital security measures. Like computers, your tablets and phones are susceptible to viruses and malware. This is especially true for those who use their devices to connect to the Internet. It is therefore important to install an antivirus on your device. These apps will not only protect your device from damage but will also keep prying eyes out of the vital information stored on your device. Many of the apps used for protection are free. You may have to pay a small fee to upgrade to versions offering more protection and features. It is important for lawyers to understand that their mobile devices are just as susceptible to insecurity as their computers. Even more precaution ought to be taken for the security of information on these devices than one would take for a computer. Richard Stent is a long time attorney from the State of Indiana. He was previously a criminal defense attorney and is now an advisor to the State Bar of Indiana. Macs And Security: Has Apple Done A Good Enough Job?